Martine Emdur, Arc, 2019. Oil on linen, 198 x 198cm. Courtesy: the artist and Nanda\Hobbs, Chippendale. Emdur’s muse has long been the ocean. 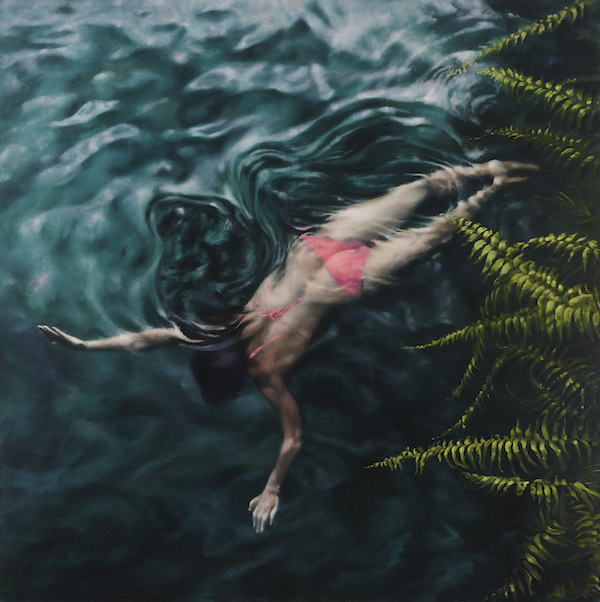 Her paintings are carefully rendered to capture and express the immersive quality of the ocean and its currents, whilst luminously portraying the light and ripples reflected from the sandy shallows and illuminated onto the figures.